60 people have viewed this property this week. 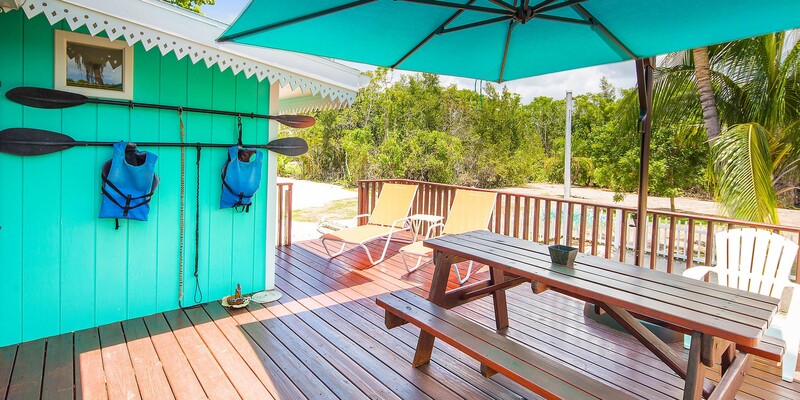 Welcome to Sea Beauty, a Cayman-style gingerbread cottage located on the island's south coast. Sea Beauty is unique from the other properties we manage in that it has over 300-feet of private beach! 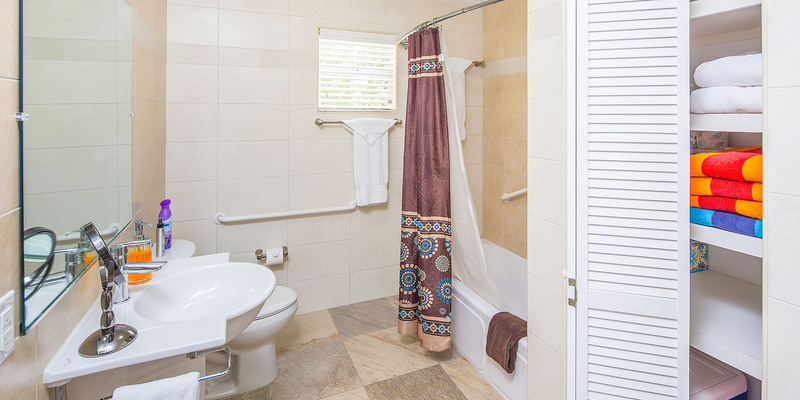 Plus, it's also ADA accessible with wheelchair ramps along the front, extra wide doorways, bathroom handrails and a roll-in shower. 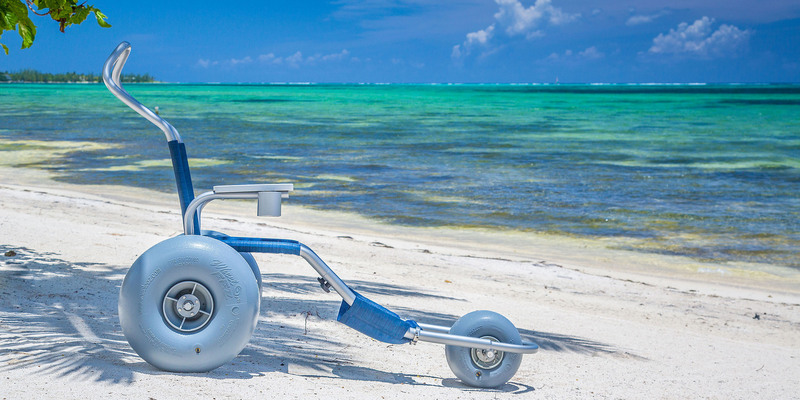 Sea Beauty also provides disabled guests a sand wheelchair and a brand new Mobi-Chair, a floating beach wheelchair to enjoy the water*. While the cottage sits across the street, the owners have provided everything a vacationing couple, or small family, could need for a beach vacation. 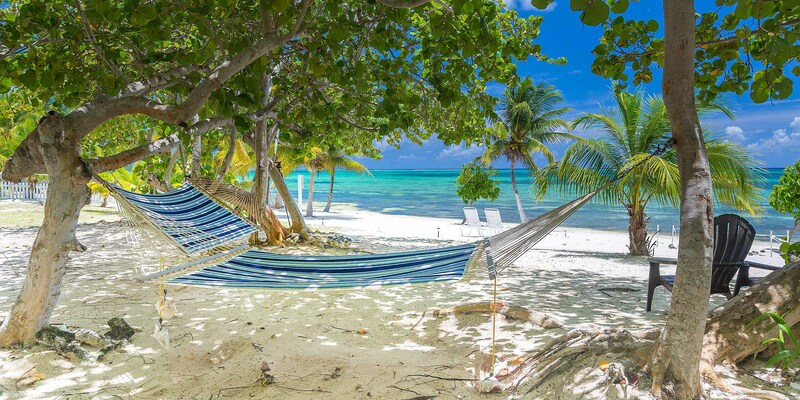 Curl up with a book under the shade of two beach palapas, or nap in the oceanfront hammocks. Plenty of beach chairs and loungers dot the shoreline along with a picnic table and tandem kayak. Enjoy bone-fishing, kite-boarding, snorkeling, kayaking and many other water sports from the convenience of your own private beach. Inside, Sea Beauty features 2 bedrooms and 2 baths with a front porch and backyard deck. The master bedroom, located towards the rear of the cottage, comes with a queen size bed and en suite handicapped-accessible bathroom. The guest bedroom, located towards the front of the home, comes with a king bed and adjacent full bathroom. An open concept living area and kitchen round out this cozy cottage. The living area comes furnished with a large queen sleeper sofa (perfect for two kids) and loveseat, plus a flat-screen TV, and dining table with seating for six. 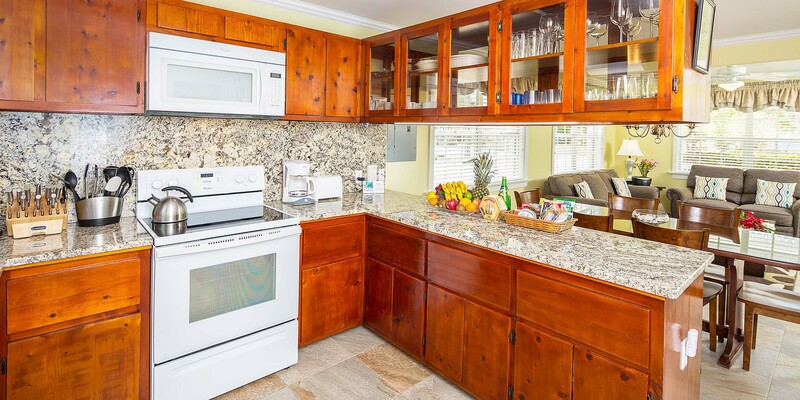 A roomy modern kitchen is equipped with a full suite of appliances, custom cabinets and granite counter tops. Porcelain tile floors and ceiling fans throughout help keep the cottage comfortably cool. Off the rear deck you can expect to see brightly-colored parrots fly overhead, or the occasional iguana scuttle across the home's sandy backyard. An outdoor dining table and charcoal grill are provided on the rear deck and perfect for island cookouts. Located only 25 minutes from George Town, Sea Beauty is conveniently close to area attractions and nearby dining options. The Queen Elizabeth Botanical Garden is roughly a mile away, along with the famous Lighthouse Restaurant and South Coast Bar in Breakers. Excellent snorkeling sites can be found off the beaches in the East End. Cayman Health City is only minutes away in the event of a medical emergency. Locally owned and thoughtful maintained Sea Beauty is a guest favorite. Our homeowner personally reaches out to guests, both before arrival and during your stay, answering any questions you might have. 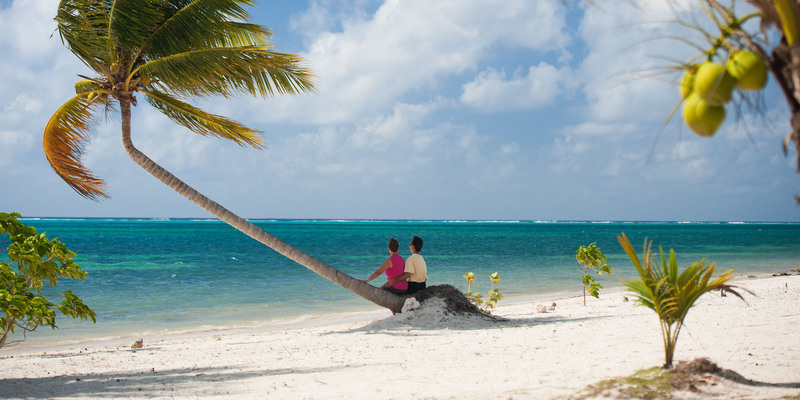 True Caymanian hospitality at its finest! 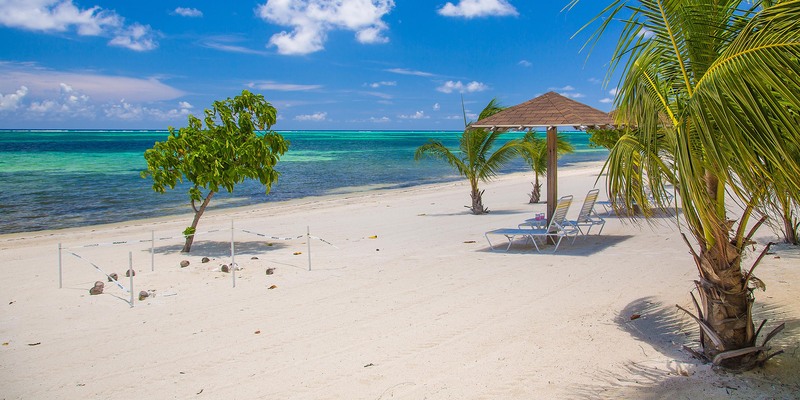 Come discover this much-loved island hideaway on your next stay on Grand Cayman. *A signed waiver and $500 refundable damages deposit is required to use the Mobi-Chair. Contact us via email to reserve it after booking. **Note: Silver Thatch kayaks available for discounted rental. Signed waiver and 5 day minimum required with 6th and 7th day free: US$39 per day per kayak ($195 per week). Paddles included. The homes in the Cottage District on the southeast coast offer great reef protected snorkeling as well as proximity to the best SCUBA operators on the entire island: Ocean Frontiers and Tortuga Divers. The south coast enjoys fewer “nor’wester” storms in winter and the water tends to be very calm on the beaches. The larger Fosters grocery store is only 15 minutes west along with a Subway, Wendy’s, DVD rental spots, and the Savannah medical clinic & pharmacy. Cottage District is also near the Lighthouse Restaurant and the Queen Elizabeth Botanical Gardens on Frank Sound Road. Lastly, the Cottage District is much closer to Georgetown and Seven Mile Beach than Rum Point and the north coast. If frequent trips to the West Bay area are anticipated, a villa in Cottage, Frank Sound or in Breakers might be a good choice. *Signed waiver and 5 day minimum required with 6th and 7th day free, paddles included: US$39 per day per kayak ($195 per week). We were immediately comfortable upon our arrival. The property manager greeted us at their office which is close to Sea Beauty, and was pleasant and informative. Everything in the home was prepared for our arrival, and we only needed to pick up some groceries. We loved the welcome basket full of fresh fruit. The landscapers came by one day and cut some coconuts down for us. Our stay just got better and better. The home owner was pleasant and accommodating. Wonder to work with. We loved that Sea Beauty is far away from foot traffic, and the touristy scene. Sitting on the front porch we enjoyed the green parrots in the trees nearby. The private beach is just beautiful, and we were in the water snorkeling at least once a day. We saw an octopus, stingrays, large colorful starfish, fish and coral. We were careful where we stepped to avoid breaking any coral. Very calm waters here. We snorkeled at Spotts beach as well where we swam a respectable distance from sea turtles, reef squid, fish, and stingrays. We are weary of stingrays but used caution when walking in the shallow parts of the beaches and some common sense and had no issues what-so-ever. We walked the Mastic Trail. We were careful to watch out for the rocks and tree roots. Pretty place to visit. We intended to be very casual, and so chose casual places to eat. We ate at Tukka (gratuties are already included). The food and drink were good. We enjoyed eating at Big Tree BBQ and Czech Inn Grill. Everyone was nice and the casual fare at all of these places was well-prepared. These are all places relatively close to Sea Beauty. If any point in our trip was low it was the half-day fishing charter that we booked through Reel Esea. Honestly, a complete waste of money. Otherwise, a fantastic stay, and Sea Beauty and Grand Cayman are highly recommended. The house was well stocked with everything we needed, was immaculate, and modernly furnished. 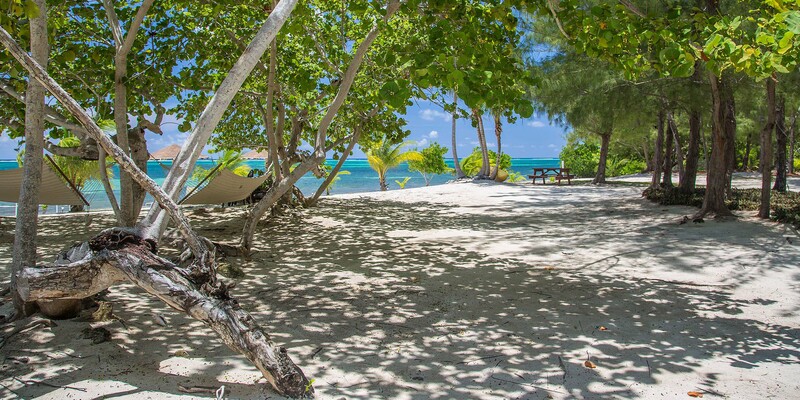 The private beach is easy to access just across the street and is setup for comfort and relaxation with beach chairs, hammocks, and shade huts. We didn\'t see a soul while relaxing during our week there! It truly feels like your own slice of paradise. Cathy was a wonderful host and attended to all our needs, greeting us when we arrived and quick to respond to any questions throughout our stay. We can\'t wait to make it back. Thank you for opening your beautiful \"Sea Beauty\" to us this week. It was everything we hoped for and then some. Can\'t wait to return and explore this beautiful island again. You truly thought of everything and we felt very welcomed. Even enjoying a quick visit to your home to meet everyone. So nice of you. Until we meet again! Thank you for a wonderful stay!! Your house and beach were amazing! I will never forget where I saw 2 spotted eagle rays 🙂 I loved paddling out every morning and watching the sunrise. I will never forget my 40th birthday in the Caymans and at Sea Beauty! Thanks for being a text away and always offering a helping hand. I can\'t wait to come back!! Thank you for the best stay. The beach, your house, was amazing. The water was crystal clear. I don\'t ever want to leave Sea Beauty. We were spoiled the whole time and cannot wait to come back. Thank you. Sea Beauty cottage was absolutely perfect! The location was wonderful; easy to get to Georgetown, Rum Point, or the East End. The cottage was equipped with everything we could need, even sun screen. There were fabulous baskets filled with fruit, nuts, and local favorites awaiting us when we arrived. However, the best part by far was the beautiful private beach! The owners were always available for any questions we might have. It was the perfect place for us while we visited Grand Cayman. We can\'t wait for our return trip! I was very pleased with our stay. The house was perfect and Cathy and Jerry were the sweetest most accommodating, which made the stay absolutely delightful!! We will be back again! Thank you so so much! Highly Recommended! 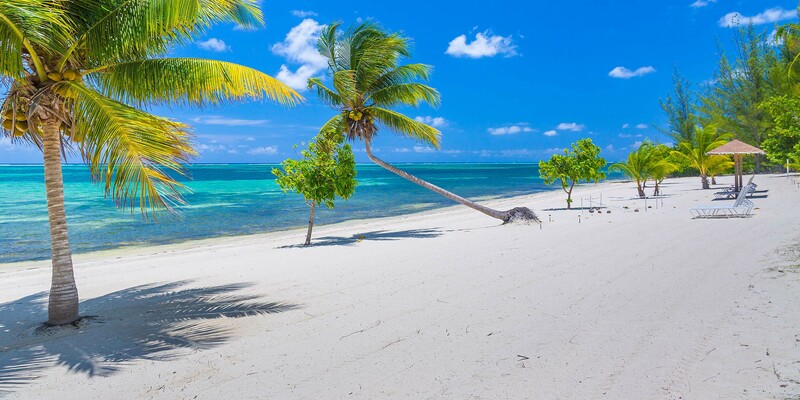 A Beautiful Slice of Cayman Paradise! Sea Beauty and owners, Cathy & Jerry, made this our best Cayman visit ever! 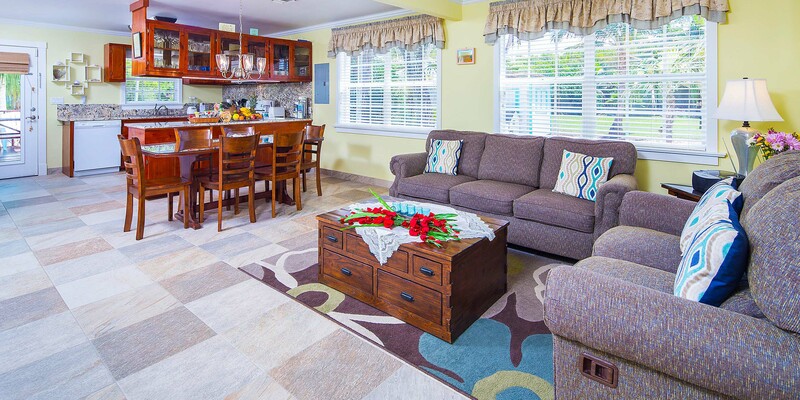 The cottage is absolutely perfect, with every amenity designed to make your vacation one of relaxation and fun. Kitchen is appointed with every need and two full baths make for easy sharing of two couples. 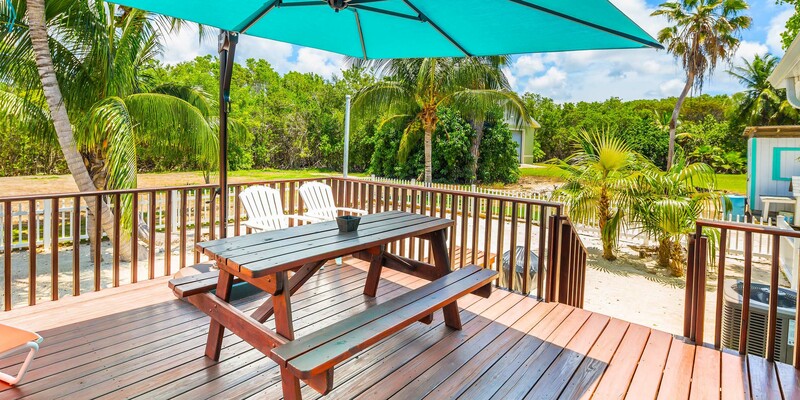 Front porch and back deck are furnished for total relaxation and opportunities to commune with all of the natural nature on the island. The private beach is truly what fantasies are made of - a beautiful, quiet paradise, all to yourself. 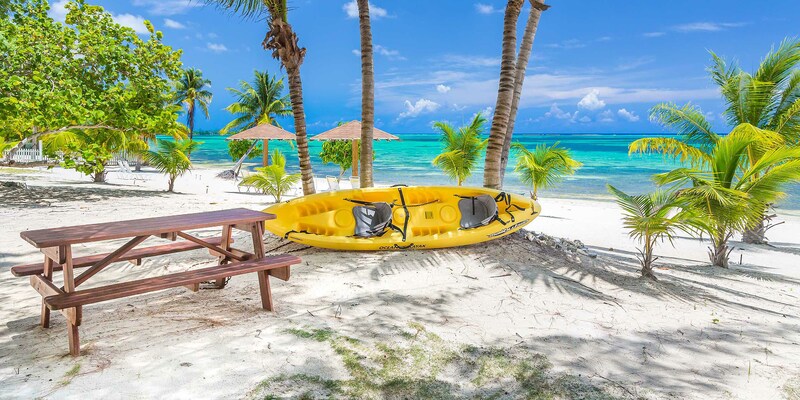 The kayak offers additional adventure and snorkeling opportunities that you do not find at a big resort. If peace and tranquility are what you seek, Sea Beauty is the place for you. We will never stay anywhere else - loved every single minute. Thank you for your kind words. Cathy and Jerry are the best! Please come back sonn! Sea beauty is Wonderful Place to Stay! Everything was better than expected. Cathy and Jerry where very helpful in every way. We will be back to this house. Thanks Again for Everything!! Sea Beauty is the best vacation rental we have ever stayed at. 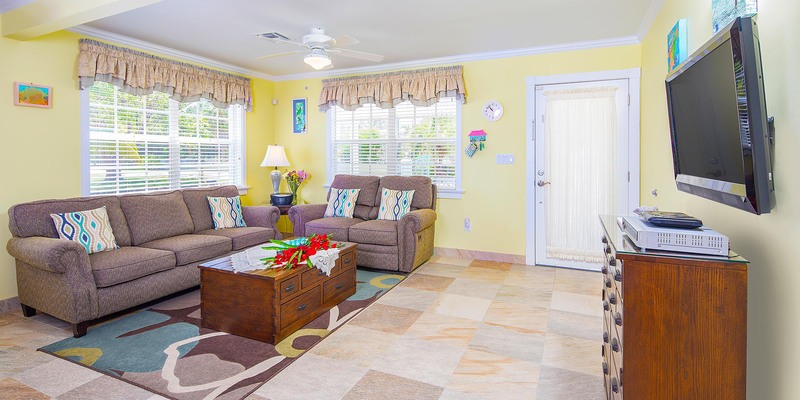 It\'s perfect for a family or 2 couples.The property was well kept, the grounds and beach clean and pristine. It was well equipped with the usual pots, pans, dishes, etc, but also with so much more we didn\'t expect. Kathy stopped by every day to feed the birds and was always willing to answer questions if we had them. If we go back to Grand Cayman this is the only place we will stay. Sea Beauty Made Our Trip! We want you to know that being able to stay in the aptly named Sea Beauty cottage just made our trip! It is so lovely, comfortably, and completely furnished with everything we could possibly need. We had a great time touring this charming and beautiful island, and were always glad to come home at the end of the day and relax on the deck or on the beach. We have friend who would lvoe it here and they will certainly be hearing about it from us! Thanks for helping us have a superb vacation. 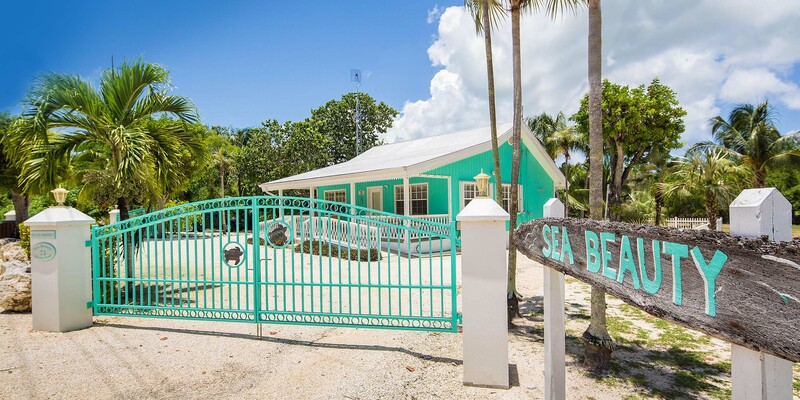 This lovely cottage is located on the south side of the island with easy access to Rum Point via Frank Sound Road. It has lots of space with a lovely deck at the back and front of the cottage. It is immaculate with all the accessories one would want, including a large variety of toiletries and other sundries such as sunscreen. The hosts were very helpful and responsive. They provided useful information regarding Grand Cayman\'s tourist attractions. Across the main road that leads to the East End there is an enormous private sand beach with a hammock, chairs, chaisse lounges and kayak. Water shoes are needed for the swimming area. We really enjoyed our time at Sea Beauty. Sea Beauty says it all! Jerry and Cathy meet you at the house upon arrival. Very nice hosts. We entered the house and it was even better than the pictures. You have two big welcoming baskets full of fruit and other nice things to use during your stay. The private beach is beautiful! We enjoyed it for some down time just to read and relax. It was such a wonderful vacation and if we come back to Grand Cayman we will definitely stay here if it is available! We had a wonderful vacation staying at Sea Beauty! Your home is beautiful and the beach is magical. We enjoyed our kayak trip out to the reef and found some starfish. We loved gazing out over the sound as we rocked in the hammock! Thank you Cathy and Jerry for making our first vacation to Grand Cayman so enjoyable! Sea Beauty is a very special place! Sea Beauty- so aptly named! Beautiful beach, beautiful house with everything you could possibly need! And gracious hosts! Thank you for everything and accommodating our arrival and departure times! An awesome break from South Dakota winters! Thank you for accommodating us last minute! Sea Beauty has been a perfect place to stay this past week. Everything we needed was here and more! Including an escape from -40C temps. We look forward to coming back! Wonderful and peaceful! Owners very kind. Private beach was phenomenal. Beautiful! 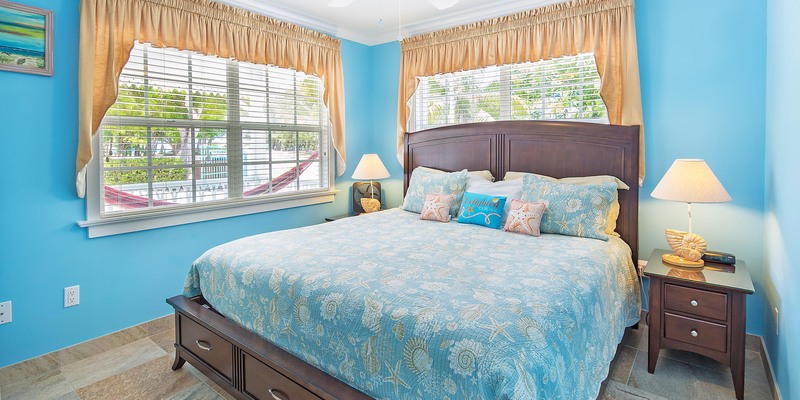 Sea Beauty has everything you need during your stay! Hats off to Cathy & Jere! Will return! Thank you for sharing your beautiful home with us. We really couldnt have asked for a more perfect or more beautiful setting. We couldnt have asked for better hosts either. We wish Cathy and Jerry only the very best and we hope to be back soon!!! My husband and I spent 7 nights at Sea Beauty for our 25th Anniversary and had an absolutely awesome time! Cathy and Jerry were very welcoming. The house was spotless with tons of extras like bug spray, laundry supplies, soaps, shampoos, and much more. We could tell that they love to take care of others by the hospitality that they showed. The conch shells were abundant on the beach. I picked up some old conch shells and was delighted to see purple and green algae on them. They were beautiful! We also saw 7 star fish in the water at Sea Beauty. At Star Fish Point we saw over 200 star fish in about 2 hours of snorkeling! We enjoyed discovering new (to us) wildlife at the private beach. We also enjoyed the hammocks and the kayak. The full moon rising over the beach was breathtaking. The best way to sum up the private beach is PEACEFUL. We will never forget our special anniversary week in the Grand Caymans! We loved staying at Sea Beauty! We arrived with our two children (ages 7 and 8) and had the most relaxing and fun vacation we\'ve ever had. The private beach was definitely a highlight. The boys played, snorkeled, swam, and I relaxed in the hammock. It was so peaceful. The house also had everything we needed for our perfect vacation. Thank you! Absolute beautiful villa. We thoroughly enjoyed our stay the home was fully stocked with everything we could possibly need. The owners were wonderful very friendly people that were accessible at anytime. The private beach was a plus. We had an awesome time in the Caymans!!! What a wonderful week we had in Grand Cayman. The house and beach here have been wonderful. The beach views are amazing. Thank you so much for a fantastic week. We will not forget our time at Sea Beauty. We will be back! We had a wonderful time at Sea Beauty and the Caymans. Our stay was relaxing in this home away from home. We loved the beach and the hammocks. Cathy and Jerry were fine hosts, accessible to answer any questions and help our stay. Loved the fully equipped kitchen and definitely put it to use. Great vacation. Cant thank Cathy and Jerry enough for their hospitality and allowing us ot stay at Sea Beauty. Amazing property and so well maintained. Its obvious the owners care for this home! We loved venturing out and exploring the island and coming back \"home\" to Sea Beauty to relax and enjoy the beautiful beach. The owners were welcoming and provided everything we needed. We cant wait to see pictures of the baby sea turtles. Highly recommend Sea Beauty to anyone considering staying here! Sea Beauty is an amazing place to stay on a beautiful island! My wife and I were able to enjoy a week here -- just the two of us. The house was amazing and the owners were so kind and helpful. They provided everything necessary for a trouble-free stay. We enjoyed every minute of the private beach, the non-stop breeze, and the sound of the waves hitting the barrier reef in the distance. If you want to enjoy a vacation that feels like you are on your own little island, you should definitely stay here. Cathy & Jerry\'s Sea Beauty Cottage completely met and exceeded our expectations! The attention to details within the cottage made our vacation worry free. My daughters and I enjoyed the kayak, we rented snorkeling equipment, and explored the waters right off the private beach, where we saw starfish and beautiful corals with all their beauty. It was simply amazing, beautiful and very clean. We had an awesome time. We had everything we needed from kitchen essentials, washer/dryer, grill, kayaks, towels etc. It was an amazing week. We would definitely go back. The owners were very helpful and fantastic hosts, they were even witnesses to our wedding on their beautiful private beach! 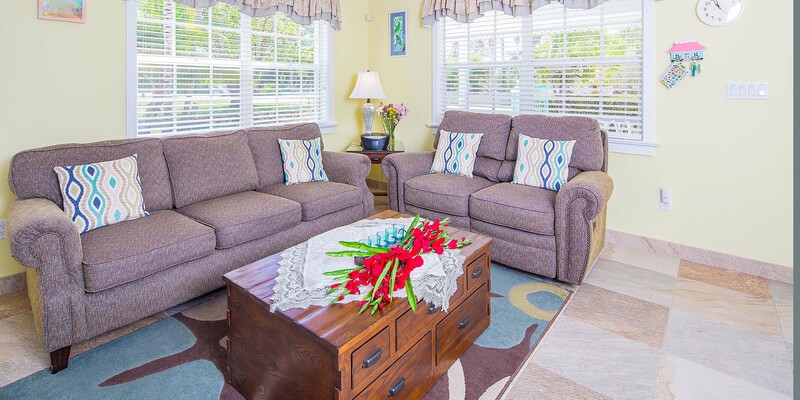 The villa itself is delightful, clean, comfortable, as well as secure and well provisioned. As for the private beach, it is absolutely amazing, so much so that we cannot wait to return soon. Most beautiful house & well supplied! 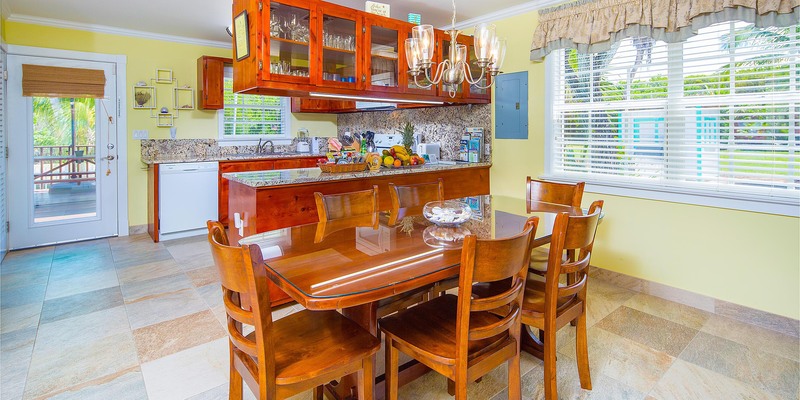 Cathy & Jerry have thought of everything when they furnished this beautiful cottage. Anything you need to cook with, coolers & towels for the beach, cleaning products & laundry supplies...such a savings. We had a wonderful welcome basket with fruit, cheese, crackers, chocolate and more waiting wren we got there. The private beach is so peaceful. We can\'t thank then enough for making our stay so memorable. We had a great time at Sea Beauty. We loved the house and the large peaceful private beach. The landscape is breathtaking! The owner hospitality is unmatched for vacations we have taken! This is by far the most beautiful and best equipped home we have ever stayed in. Cathy and Jerry, thank you for sharing such a lovely home, and for all the thoughtful extras you provided. This vacation was amazing. We spent a great week at Sea Beauty and had a wonderful week. Loved everything - the house, the food, the island and the peace! We will be back! 20 degrees at home, 80 degrees and sunny here! Everything was wonderful!! This was the most amazing holiday ever! Thank you to the owners for being such loveable and involved hosts. Sea Beauty will always hold a special place in our hearts. We will be back again soon! Home away from home 5 Star!!! This has been the most incredible vacation we have ever had. This house is a home away from home for us. The island is so inviting - we will return again and again. We cant wait! We will definitely come back here to Sea Beauty. The beach is spectacular and the views from the waters edge amazing. We sat for hours looking out at the sea. Love this place, can you tell??? Perfect Getaway for a Honeymoon! Sea Beauty was a nice way for me and my new husband to relax and enjoy each other\'s company away from the hustle and bustle of hotel life! It was so wonderful to feel like we were at a home away from home! Cathy and Jerry were wonderful and inviting. They made our stay even more special! We look forward to our next trip back to Sea Beauty! You have created the most beautiful, peaceful and well prepared getaway! In all my travels I\'ve never had this level of thoughtful care put into the needs and comfort of guests. We enjoyed every bit of our stay and Cathy deserves much of the credit! 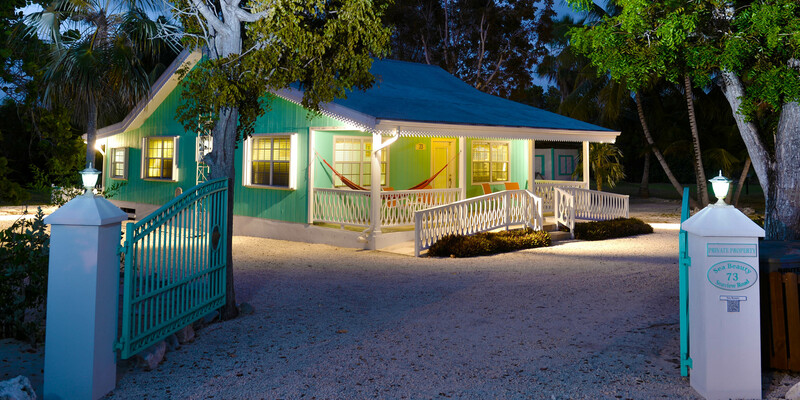 We loved everything about this cute Cayman cottage. We especially loved the beach. Thank you for allowing us to stay in your wonderful home. We look forward to a return trip to Grand Cayman and hopefully Sea Beauty. We spent a wonderful week here at Sea Beauty! Thank you so much for allyou do to make this cottage feel like home. God Bless! Thank you for sharing your lovely cottage by the sea, We enjoyed our vacation on Grand Cayman and will be back to Sea Beauty. Loved the beach, privacy of the cottage and the superb accomodations. We really appreciated how well equipped and the cleanliness of your home. Many thanks to the wonderful owners with any questions we had and your generosity in sharing with others this beautiful spot on the island. It was a long trip from the U.K. to Sea Beauty but it was worth the journey. First class accomodation and so well equipped. The private beach was wonderful and you can find sun on the porch or patio from sunrise to sunset. The owners were marvelous hosts we hope to return sometime in the future. Thanks for the use of your wonderful home. We live on the island and like to take breaks to get away from the work life and relax. Sea Beauty is a magical and amazing beautiful spot. May it never change. I had a wonderful and relaxing birthday here.We will always treasure our stay here. Sea Beauty owners did a fantastic job with this house. You can tell it is well cared for and loved. The beachfront is amazing - we spent days enjoying the view. The snorkeling was fantastic and the parrots in the trees were a special treat. We will never forget the calm serenity and endless coconuts to drink out of. We will come back again in the future for some rest and relaxation. We had a delightful time in paradise. The snorkeling was amazing and the beach was pretty. We went to the turtle farm and swam with dolphins at Dolphin Discovery. The kitchen made cooking a breeze! We will come back again. We were married a year ago here at Sea Beauty and came back to re-live those wonderful memories. Sea Beauty did not disappoint. We just love this home! What a perfect home for our honeymoon! Sea Beauty was a nice way for me and my new husband to relax and enjoy each other\'s company away from the crazy hustle and bustle of hotel life. We felt like we were at a home away from home. Cathy and Jerry made us feel welcomed and so wonderful - it made our stay even more special!We look forward to our next stay at Sea Beauty! The cottage, the beach were wonderful. the weather was HOT and we had everything we needed from Sea Beauty! We cant thank you enough for all the care and thoughtfulness put into this beautiful cottage. From the baby bed and high chair to the gates on the deck, our baby and teenager were safe and happy. The activity guide on the table upon arrival was ever so helpful. We did quite a few of the activities that kept the kids happy. We will be sure to let everyone know what a wonderful time we had here. We felt like millionaires. Our own private beach was priceless! A place where God abides and love is all around. We will return with family and friends to share the beauty of Sea Beauty! We thoroughly enjoyed our honeymoon at Sea Beauty! We had a great time exploring the island. Lots of swimming, snorkeling, sun, shade,hammocks, and restful time on the private beach! Wish we could have stayed longer. Sea Beauty was fabulous and was so good to us. We look forward to future visits. We had a fantastic wedding at Sea Beauty. The home could not have been better for what we wanted and expected. This was our dream wedding! We will truly remember this forever. Sea Beauty was a perfect home for our family. The location, ammenities and atmosphere could not have been nicer. Thank you for all of your recommendations to help make our stay memorable! It is certainly a beautiful cottage in a beautiful setting. We had a great time on Grand Cayman and will never forget your kindness and generosity!Words dont seem adequate enough for the great week we had here at Sea Beauty. This was our first Christmas away from home and it more than exceeded our expectations. Cathy and Jerry went out of their way and beyond to make this experience very memorable. We\'ll be back to Grand Cayman. Hope to meet up again.Thanks for everything! Thank you for our wonderful vacation. We ha a marvelous, peaceful, perfect time. 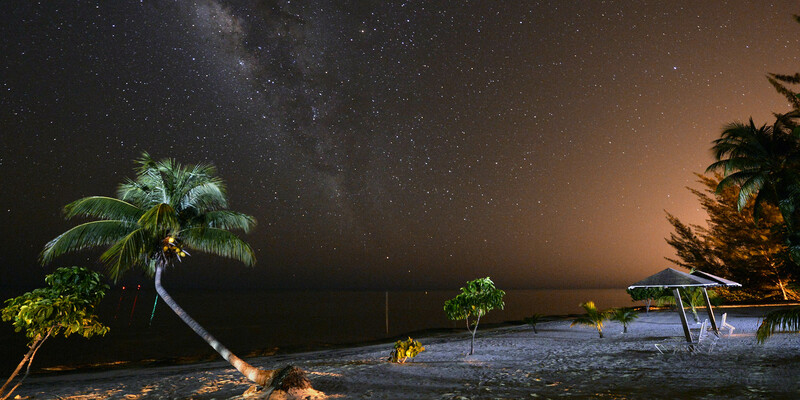 Tons of great snorkeling off your beach - we call our private nature park! Sweet parrots, swinging in the breeze in comfy hammocks -bliss!Sea Beauty is the best equipped, organized, convenient rental we have ever stayed in. Looking forward to next time! Its been a real pleasure. There was a bungalow by the Sea, A divine little house called Sea Beauty. We romped on the shores. It was never a bore. Thank you so much, we\'re as happy as can be! It was a pleasure! Fantastic Vacation - Coming Back! Dear Cathy, I cant tell you what a fantastic vacation our family has enjoyed at Sea Beauty. The name could not be more fitting for the home, the beach and the owners. We see why guests choose to stay here.This is truly a treasure. We are already talking about a return vacation. See you in paradise next time! Cathy and Jerry, Thank you so much for making us feel so welcome in your beautiful, peaceful corner of paradise. We especially enjoyed spending the day with you out on the water and the kids will cherish those memories for years to come. 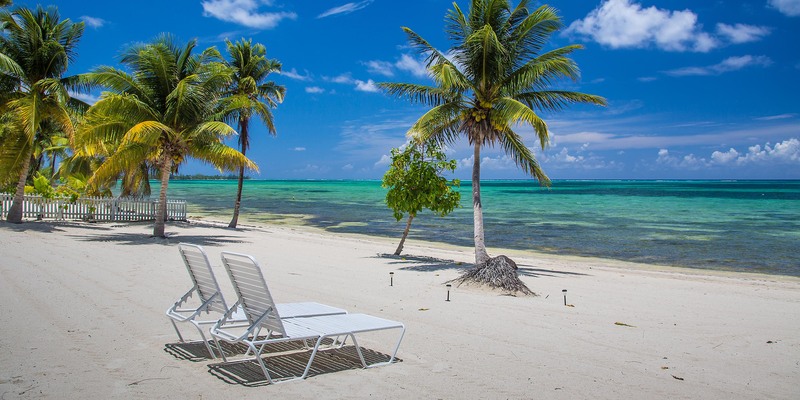 We loved our visit to Grand Cayman and are already planning our return trip. Thank you for putting a good word in for us with Capt G at the Lightouse. We had an amazing birthday celebration!! 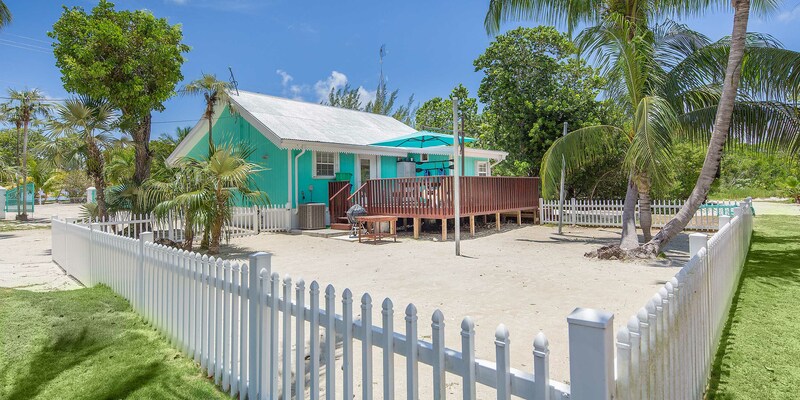 Sea Beauty is a lovely Cayman cottage. The front and back porches are great places to enjoy the atmosphere. Our huge iguana visitor was a rare experience. The private beach is a little piece of paradise. Cathy and Jerry are kind and caring. Thank you for the teapot and the bananas and coconut water. The people everywhere we went were polite and helpful. We loved Stingray City, botanical gardens aand Rum Point. Thanks for everything. It wouldn\'t take much for me to cut and run to this island paradise... When I die I would like to have my ashes scattered in the water here where my spirit can dance with the Gods of the Sun and Maids of the Sea. Another life here in the sun! Sea Beauty is a very special place where there are many fine places to stay on this beautiful Island. Out of the way from Georgetown, a pristine 300 foot private beach all to yourselves, and the very comfortable, clean and functional Sea Beauty. We could not agree more with all the previous comments. The purpose of our trip was to be with our two sons who stayed at the Holiday Inn Resort Grand Cayman to take their scuba diving certification classes. A nice place to stay – but still not Sea Beauty! When they visited our special quiet vacation place on the southeastern part of the Island, their reaction was simply that this is paradise. We hit the jackpot. My daughter left her jacket at Sea Beauty. No problem. Host Cathy Frazier delivered it to our son at the Holiday Inn. Thanks Cathy. We also liked dealing contractually with Jim Leavitt of Grand Cayman Villas. Everything was seamless via electronically through DocuSign, Inc. Thanks Cathy and Jerry Frazier for making our five day stay at Sea Beauty memorable. Sea Beauty was everything it promised to be from the accommodations to the lovely private beach. Cathy and Jerry were very welcoming and attentive to detail. 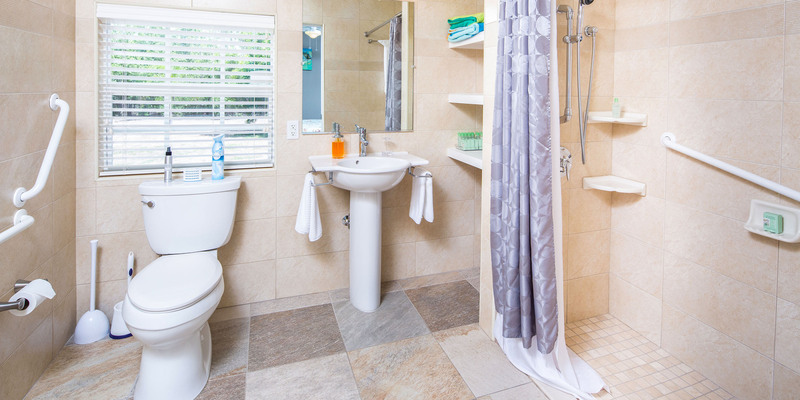 The cottage is extremely well appointed and very clean. We thoroughly enjoyed the deck on the back of the cottage, as well as the hammocks on the beach. 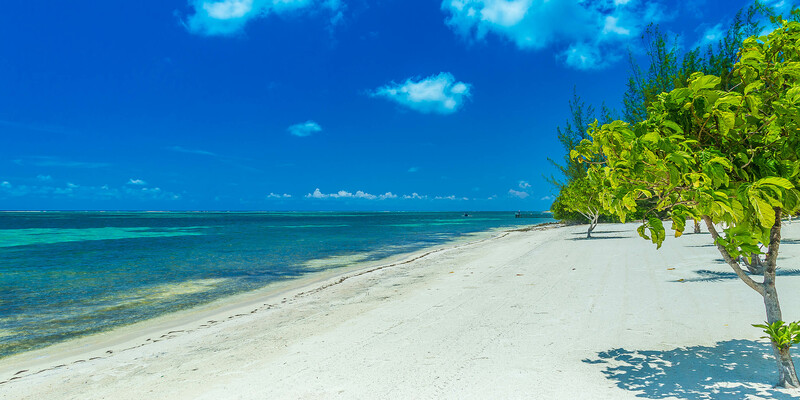 Bring your camera, Grand Cayman has many photo ops! (blow holes and coastal shots) We would definitely stay at Sea Beauty on our next visit to Grand Cayman. If your idea of vacation is relaxing on a beach away from the maddening crowds then this is the place. This totally accessible cottage steps from a private beach was an amazing find. Newly remodeled with a gorgeous decor, comfortable beds, dishwasher, washer and dryer and walk-in shower, our every need was met. Cathy and Jerry made sure we felt right at home. The house was nicely stocked with towels, soap, shampoo and laundry detergent. A car is a must if you want to explore and driving was easy on the East End. I wish we had stayed two weeks! I had the pleasure of staying at Sea Beauty with my two daughters for 5 weeks this Summer. It was absolutely the most wonderful experience. The home was immaculate, with the most comfortable furnishings and all new appliances. No detail was overlooked when setting up this rental, we had everything we could want or need. Sea Beauty is just as the name describes with a pristine 300 foot beach located directly across the road. It was so peaceful and quiet, we felt like celebrities enjoying our own private paradise. We enjoyed lounging in the hammocks and watching the Cayman green parrots and playing volleyball on the beach. I enjoyed some sunbathing and reading while the girls played and we even did some snorkeling. I especially enjoyed the 4 Cayman Whistling Ducks that come to visit and get a snack. We came to the island for scuba diving and we keep coming back because of the wonderful people we have met there and Jerry and Cathy Frazier are the best!!! I would recommend this property to anyone and I look forward to going back there again myself. What's not perfect about paradise? From first glance, Sea Beauty swept my breath away, it's totally enchanting, appointed with the best of everything (air coditioner is noiseless, windows sparkle, appliances newest and best, water heater pure genius, linens luxurious and abundant, etc. and goodness everywhere). I was met by owners who explained the simplicity of running the house. They provide you with a phone which is a total pleasure to use and have, Island resources available easily and a phone call away-- all preprogrammed into phone--, police station close but not too close. And the beach: there stretches 300 feet of glorious private beach, where my visiting cousin spent a whole day and was perfectly happy between sea dips, hammock rests and lounge chair reading, strolling, and returned refreshed, and happy as a clam. Amenities were so well considered, felt like best packing ever because i had no needs which owners had not thought of, everything was there! Made me miss my handicapped friends and family. They would have been able to manage with wheelchairs, very uncommon in Cayman. Here it is set up perfectly and thoughtfully. While compact, house could absorb many folks comfortably, and happily. Location is perfect for enchanted time in enchanting place, away from bother and messy bits. I long to return.